This year, we’ve updated the list of top drama schools in London with a few more institutions that deserved to be mentioned. 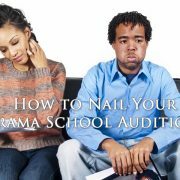 Actors that can manage to audition successfully and secure a place to train in any of the drama schools from the list below will gain a strong acting foundation and potentially kickstart their career in the industry. The Royal Academy of Dramatic Art (RADA) drama school was established in 1904, and has since been known as one of the most prestigious top drama schools in London and the world. 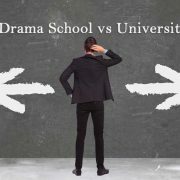 It has an outstanding reputation as a world-renowned centre of excellence, offering the best possible facilities, exceptional teaching and strong links with the industries that employ this top drama schools graduates. RADA’s student population is a diverse community, united by a shared passion for theatre-making. RADA drama school prides itself both on the professional standard of its student productions, which are attended by agents, casting directors and theatre practitioners, and on their track-record of employment. Drama Centre London was founded in 1963 by a visionary group of tutors and students, and has since became one of the top drama schools in London. It offers an inspirational, passionate environment for those who are resolutely serious about their acting careers. Since 1999 Drama Centre has been part of Central Saint Martins, a constituent College of the University of the Arts London and an internationally renowned institution, which offers the most diverse and comprehensive range of undergraduate and postgraduate courses in art, design and performance in the country. 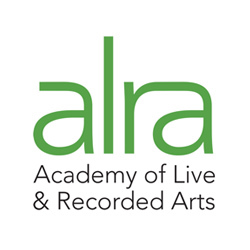 Academy of Live & Recorded Arts (ALRA) drama school was founded in 1979, by Sorrel Carson and Caryll Ziegler. It was the first of the top drama schools in London to offer training which encompassed all media: live theatre, TV & film and radio. 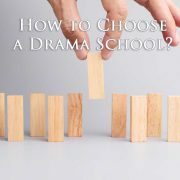 Although today they are not the only school to teach both acting for camera and acting for the theatre throughout the three year and the post graduate programmes, there remains a marked paucity in this style of training. Guildhall School of Music & Drama (GSMD) drama school is one of leading top drama schools in London and the world. It’s offering musicians, actors, stage managers and theatre technicians an inspiring environment in which to develop as artists and professionals. GSMD was rated number #1 specialist institution in the UK by the Guardian University Guide in 2013 and 2014, and it has over 800 students in higher education, drawn from nearly 60 countries around the world. This top drama school’s alumni include some of the world’s most recognized names the acting business. London Academy of Music and Dramatic Art (LAMDA) drama school was founded over 150 years ago and is the oldest top drama school in London and the world. They deal in excellence, passion, talent and imagination. As one of acting training leaders and pioneers, LAMDA offers exceptional vocational training to talented individuals, enabling them to become outstanding actors, regardless of their background, educational qualifications or economic circumstances. The school strives to ensure the maximum possible access to LAMDA and all their activities for those who will benefit most. Central School of Speech & Drama (CSSD) drama school was founded as The Central School of Speech Training and Dramatic Art at the Royal Albert Hall in 1906 by Elsie Fogerty. CSSD is one of a very few top drama schools in London that receives special government funding in acknowledgment of its exceptional work, and their graduate employment statistics are among the highest in their sector. The Italia Conti Academy of Theatre Arts is one of the oldest top drama schools in London that specializes in theatre arts training. This drama school is providing an environment in which its learners can be trained and educated to develop and broaden their skills as actors to their individual highest possible standards. They select talented students for their individuality. 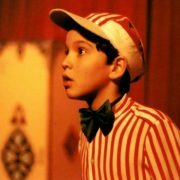 The training process is designed to nurture confidence, self-esteem, acknowledgement of personal strengths and the true fulfilment of technical and artistic potential in order that they can confidently demonstrate and respond to the needs of an ever changing and demanding acting profession. What criteria is this list actually based on? Some of these schools have a far lower graduate employment rate than many other schools in England. Has this list been compiled through percentages of students currently employed… Agent representation upon graduation… Teacher to pupil ratio? It seems that no ‘notable’ female alumni have trained at RADA at all! No notable female actors have graduated from Central and Guildhall in the last 30 years and only one out of seven female alumni from Drama Centre are ‘notable’. This is completely inaccurate and misrepresents these drama schools. Are these the alumni suggested by the drama schools themselves? If so, it’s shocking.